This event is canceled due to possible scattered thunderstorms. It will be rescheduled for July 27. “Black Panther” will kick off Cards Under the Stars, UofL’s free, outdoor summer movie series. The event kicks off at 6:30 p.m. on the lawn between the Natural Sciences Building and Grawemeyer Hall. The film begins at sunset. Pre-movie activities include children’s inflatables and games. Concessions will be available for purchase from Pollo and SnoWhat Snoballs. Families are encouraged to bring lawn chairs or blankets and picnic baskets and coolers with snacks and drinks to make for a comfortable evening. Parking is available in the lot next to Grawemeyer Hall (2301 S. Third St.) and behind Ernst Hall (216 Eastern Parkway). Cards Under the Stars is sponsored by UofL and Commonwealth Credit Union. Cards Under the Stars will continue Friday June 29 with "Coco " and Friday July 26 with a TBD film. 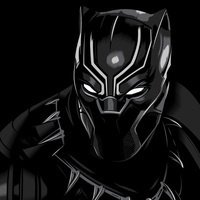 Film Synopsis: A superhero known as Black Panther defends Wakanda, a technologically advanced country in Africa that has hidden itself away from the rest of the world. Now, he must face a dissident who wants to sell the country's natural resources to fund an uprising. Rated PG-13.